A quick detail shot showcasing the warm summery floral arrangement and the pristine white lace of the wedding gown. This picture shows off details but also a intimate picture of the bride and her father walking down the isle. 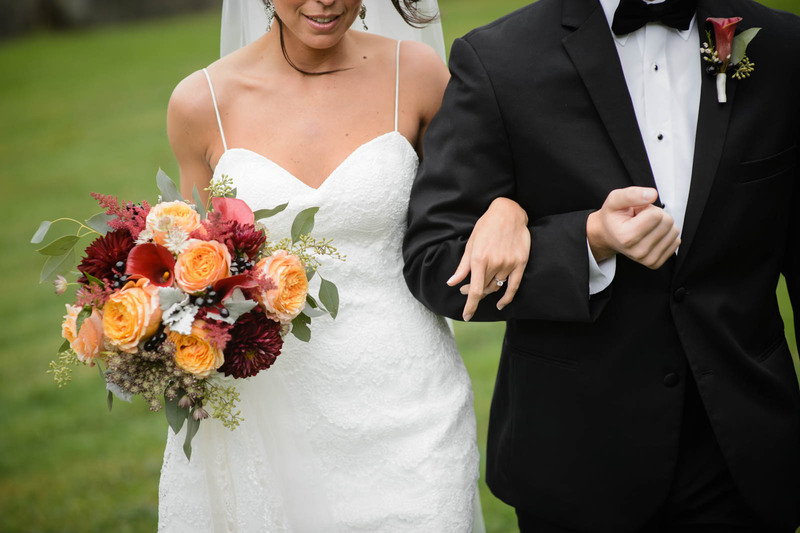 This picture really shows the detail in her dress along with her soft lipgloss, the beautiful bouquet of bright fall colors and the lacy detail on her wedding gown. Her engagement ring pops off of her dads suit and just brings the whole picture and feeling together.